1. Understand the legislation as it applies to the individual in carrying out a licensable activity. 2. Understand the importance of safe working practices to comply with legal requirements. 2.8.Identify who to contact in first aid situations. 3.9.Describe the role and responsibilities of a fire marshal. 4.8.Identify their role in the business continuity plan after the event. 5. 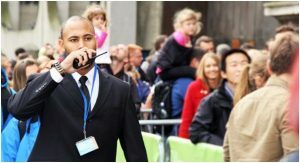 Understand the main characteristics of the Private Security Industry. 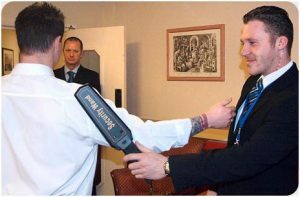 5.3.Describe the required standards of behaviour of a private security operative. 5.5.State the benefits of linking in with local crime reduction initiatives. 6. Understand the importance of effective communication skills and good customer care. 6.7.State the use of the NATO phonic alphabet. 1.4 Explain the term ‘confidentiality’ within the operator’s responsibilities. 3.8 Discuss privacy issues and the operators’ responsibilities. 4.10 Explain the importance of team working and the passage of information between the team and other agencies. 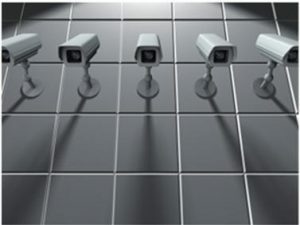 2.10 Demonstrate how to use cameras to search the outside of buildings, streets and open spaces for suspicious items and the actions to follow if found. Multiple choice questions are used to assess the learners underpinning knowledge. Question papers are available from the compliance department. Please read the instructions carefully.